Synchronized Skating is a popular discipline of figure skating both in the U.S. and around the world. In synchro, teams of 8 to 20 skaters compete together in unison. 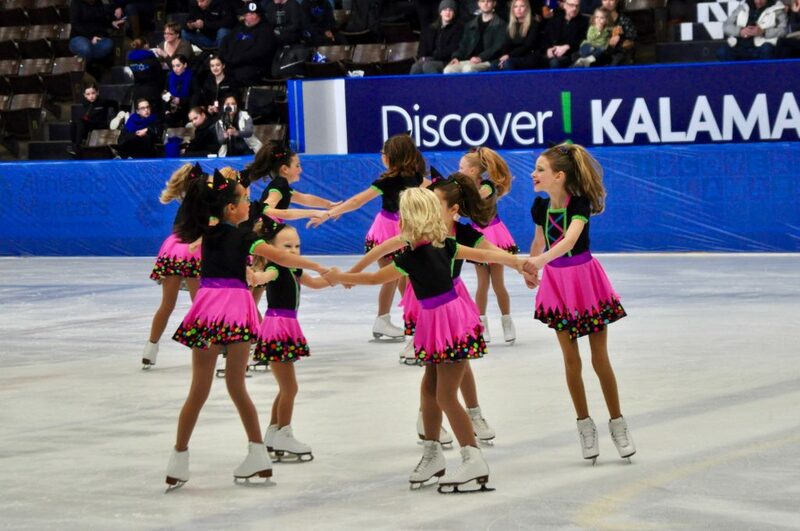 Synchronized skating teams move from straight lines to form patterns such as blocks, pinwheels, circles and intersections, all choreographed to music. It is characterized by teamwork, speed, intricate formations and challenging step sequences. Our teams practice once per week at the Synchro Skills level and twice per week at the Pre Juvenile and Open Juvenile levels. They compete at local and regional competitions throughout the season. The teams will compete at the US Figure Skating/Synchro Skills levels for the 2018-2019 skating season.